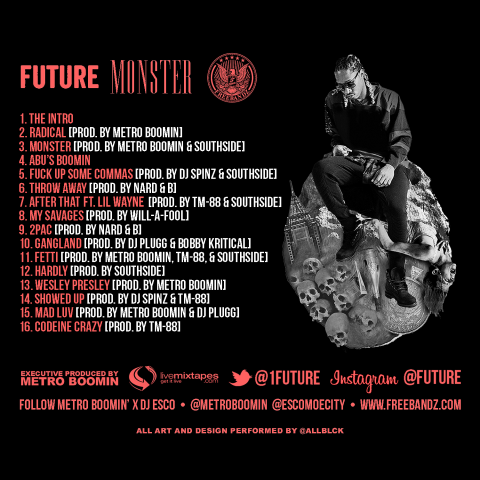 The wait is over as Future releases his highly anticipated mixtape Monster. This tape is executive produced by Metro Boomin, holding 16 tracks with contributions from DJ Spinz, Dun Deal, Lil' Wayne, 808 Mafia, Southside, and more. Stream and/or download Monster below.